Breitbart Texas published an exclusive report on the shooting and the arrest of several suspects on Tuesday. Border Patrol leadership later confirmed the original source work in public statements Wednesday. The agent is expected to recover from his wounds, according to U.S. Customs and Border Protection. In March, Breitbart News traveled with Ward to rancher Jim Chilton’s property in Arizona where the shooting would later take place. 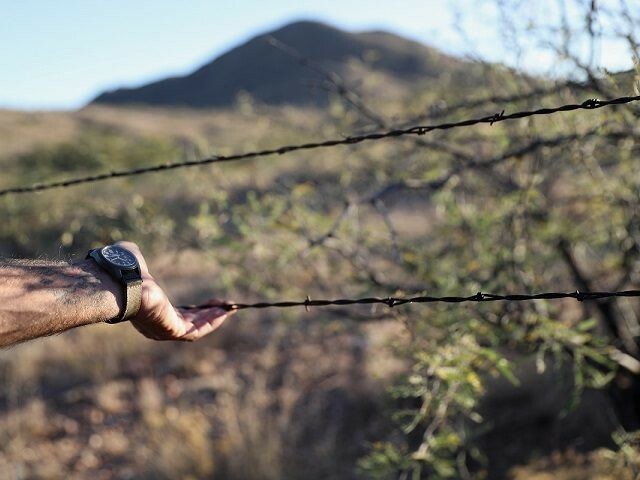 On the border between Chilton’s ranch and Mexico is a small, barbed-wire fence that Chilton slipped under to demonstrate the porous nature of the border. “If I can do it, anyone can do it,” Chilton told Breitbart News. Chilton also placed cameras along the border and documented a stream of mostly men carrying large backpacks breaching the boundary. Ward said she is even more convinced of the need for a wall between the U.S. and Mexico after her visit to Chilton’s ranch. “We’ve got to have the wall,” Ward told Breitbart News after the tour.